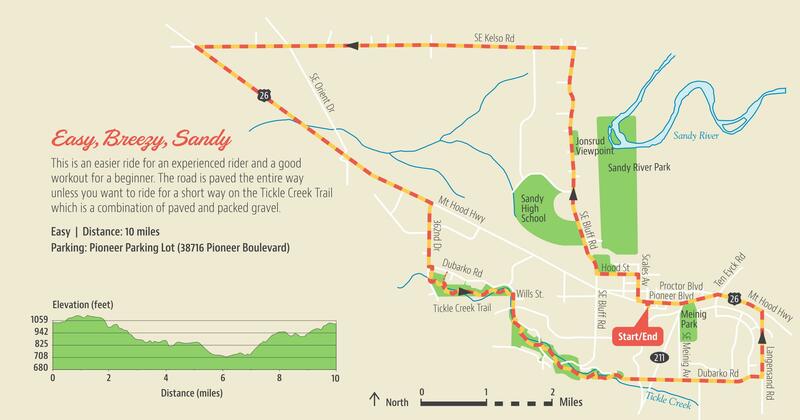 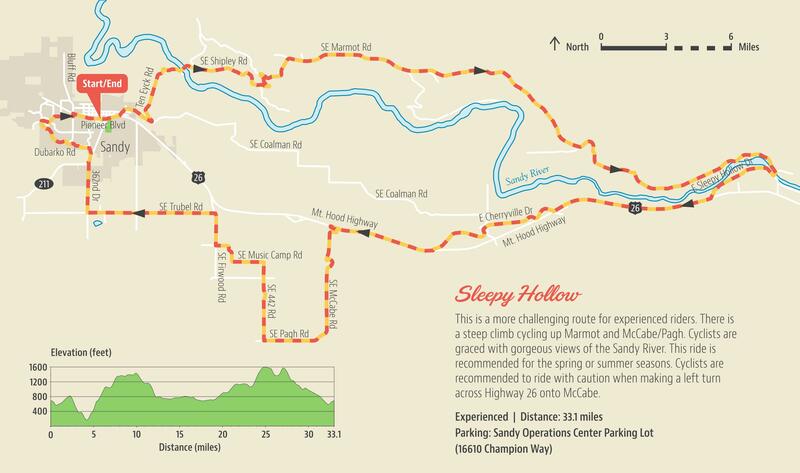 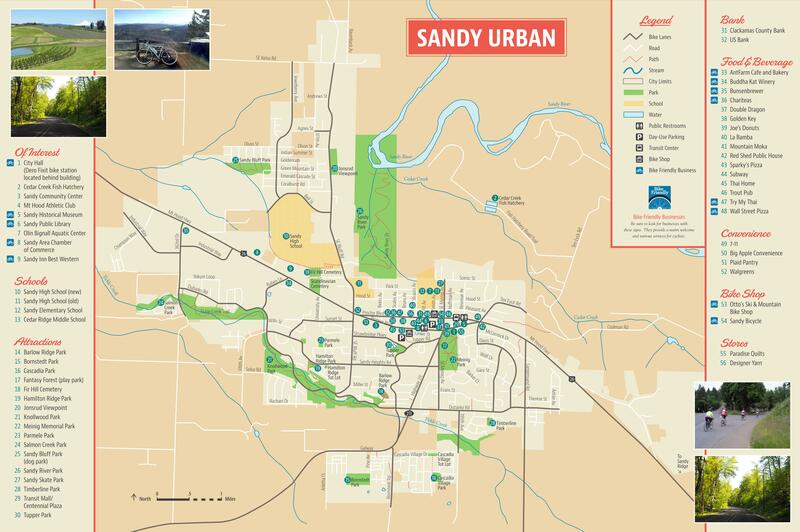 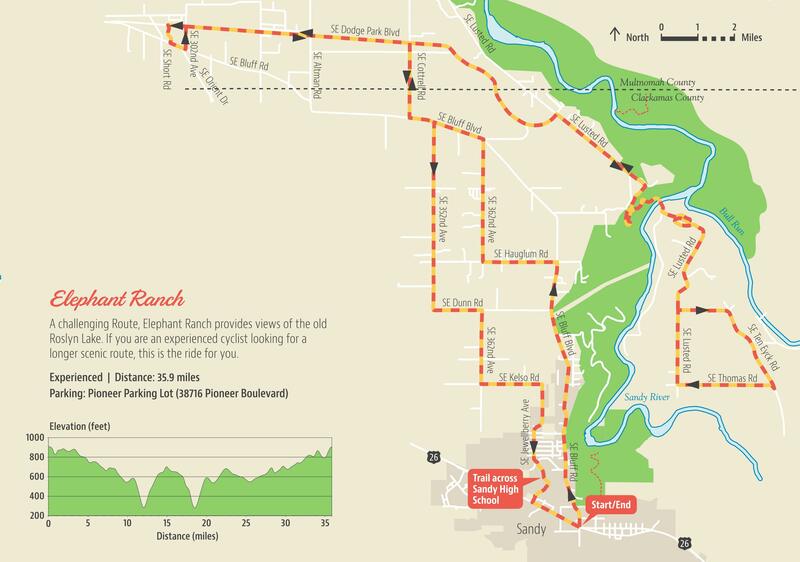 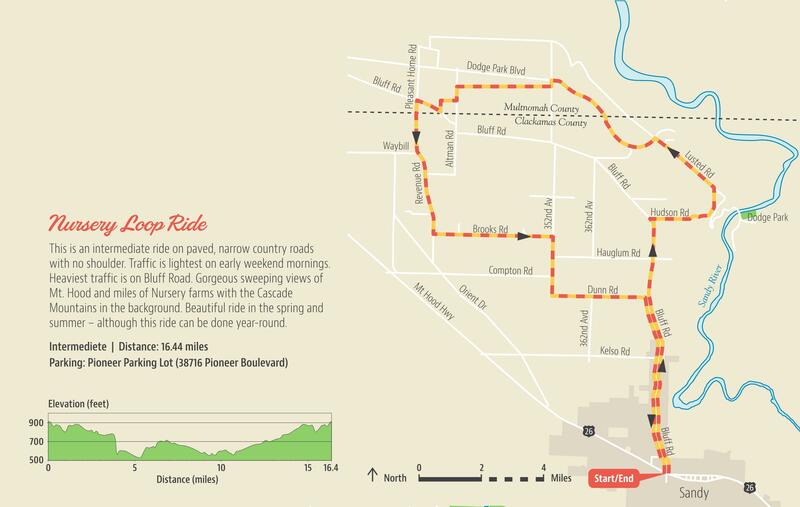 With the help of a grant from the Clackamas County Tourism & Cultural Affairs Office, the City of Sandy has prepared a map of bike rides in and around Sandy. 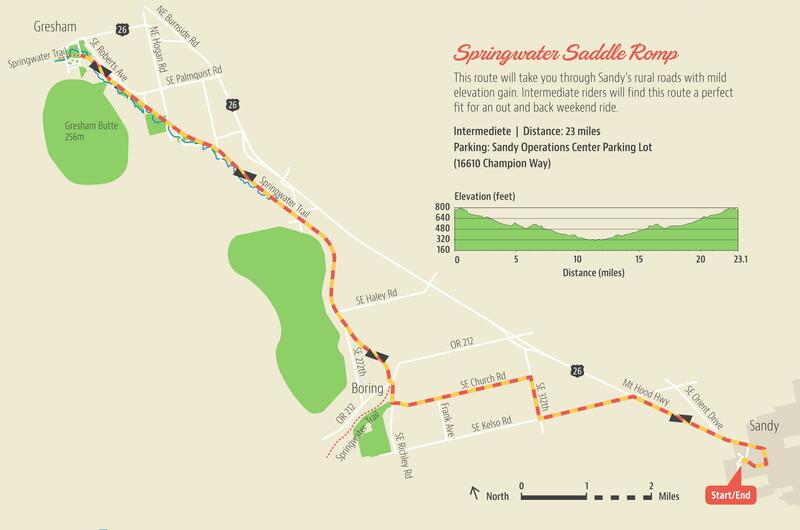 Pick up a special map on water- and tear-resistant paper free of charge at the Sandy Historical Museum & Visitor's Center ( 39345 Pioneer Blvd ), the City of Sandy Recreation Department (38348 Pioneer Blvd), Otto's Ski & Mountain Bike ( 38716 Pioneer Blvd ) or Sandy Bicycle (17390 Smith Avenue). 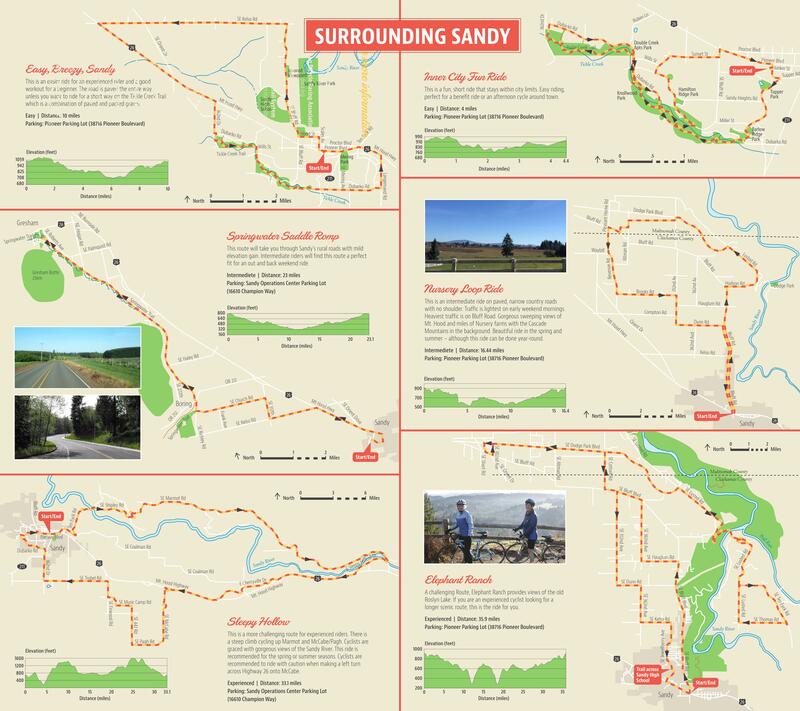 You may also find a free bike map on regular paper at any of the Bike Friendly Businesses in Sandy.